How do I align the 7 Mindsets to SEL and other standards set up by my state? How do I measure the impact of the 7 Mindsets? How can I fit the 7 Mindsets into my schedule? 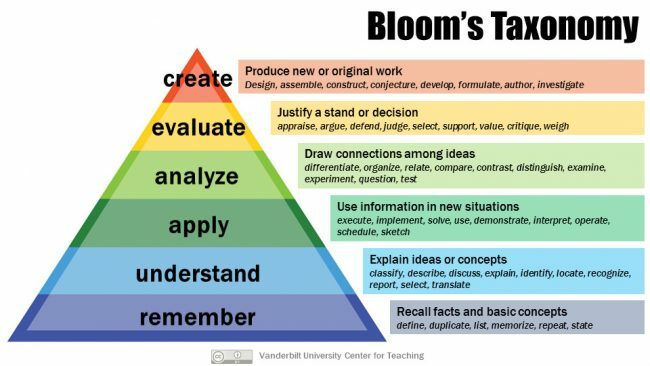 How is the curriculum aligned with Bloom's Taxonomy? What are the target Social and Emotional Outcomes? How do the 7 Mindsets support PBIS and Restorative Discipline? How do the 7 Mindsets Work with the Growth Mindset? How do the 7 Mindsets align with PBIS? The 7 Mindsets curriculum is aligned with Bloom’s Taxonomy, developmental research on how students encounter and work with knowledge. In grades K-12, students will be given the opportunity to remember and understand the Mindsets and learning objectives. The curriculum is designed to progress intentionally, leading to the application and evaluation of what they have learned. The alignment to Bloom’s Taxonomy ensures that your K-12 students completely understand and implement the 7 Mindsets to better meet their present challenges and live their ultimate lives. See attached file for more detail on alignment with Bloom's Taxonomy.